Once you have added a company into Sentle you are able to assign staff members to it. This action can be completed in a couple of ways, from the company page itself or from the contact’s page. Use the ‘Show Staff Members’ button to load the staff view page. You’ll find links to the staff view page on either the company directory view or the company details themselves. If a company has no staff members, the following message will be displayed in the window. Select ‘Add Contacts to Sentle’ to open the contact search window as used in other areas of Sentle. 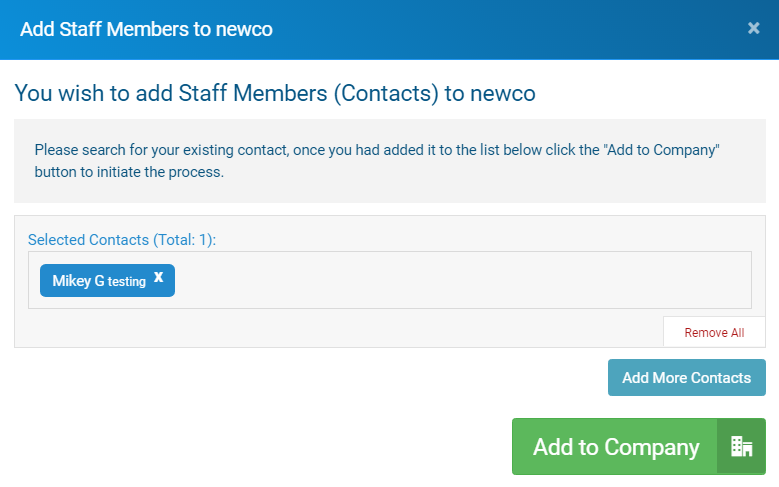 When you are happy that you have located all of contacts you wish to add as staff, select the ‘Add to Company’ button and that contact will now be assigned to the company. Alternatively, if you want to remove a contact as a staff member, then you can do so from this same screen. 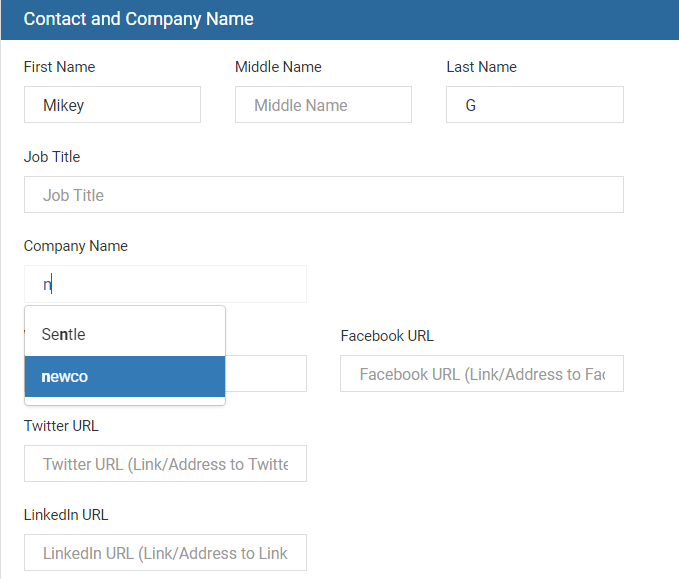 If a contact is not already connected as to a company as staff member you can do so by opening the contact’s details and editing their contact record. Start typing the relevant company name into the ‘Company Name’ field and Sentle will located any companies within the system that match. Simply select the relevant company from the options returned and upon saving your changes the contact will then be added as a staff member of the company. If the company you are searching for does not yet exist, free typing the name of the new company will see you offered the choice to add a new company at this stage and you will be taken back to the standard ‘Add New Company’ form. Once the company has been added the contact will automatically added as a staff member.